Background: Hitler often claimed to be something of a frustrated artist, and art was certainly one of his major interests throughout his life. He probably sold several thousand paintings and postcards during his stay in Vienna, some of which turn up even today. 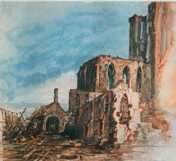 Hitler himself made no great claims to greatness as a painter (architecture was something else....). There was a thriving market for his paintings during the Third Reich — and even today, there are eager collectors. The best book on the matter is Frederic Spotts’s Hitler and the Power of Aesthetics, which takes Hitler’s artistic side seriously. 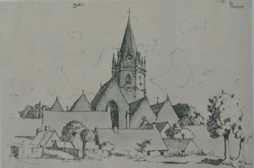 Spotts comments: “He had a modicum of talent —— at least in sketching buildings —— but what technique he learned he picked up on his own. Like most amateurs, he began by painting simple landscapes. 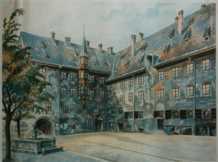 With neither innate originality nor professional training, he went on to imitate the watercolors and prints of the south German school and the postcard scenes —— everyday urban views —— that were popular at the time..... 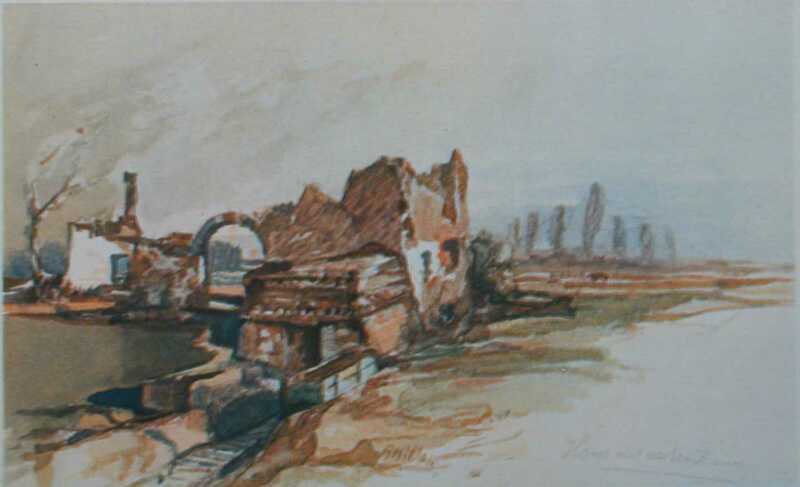 Moreover, he had to paint the sort of thing that an unknown and untalented amateur might be able to sell, and that was inexpensive reproductions of familiar places” (p. 125). 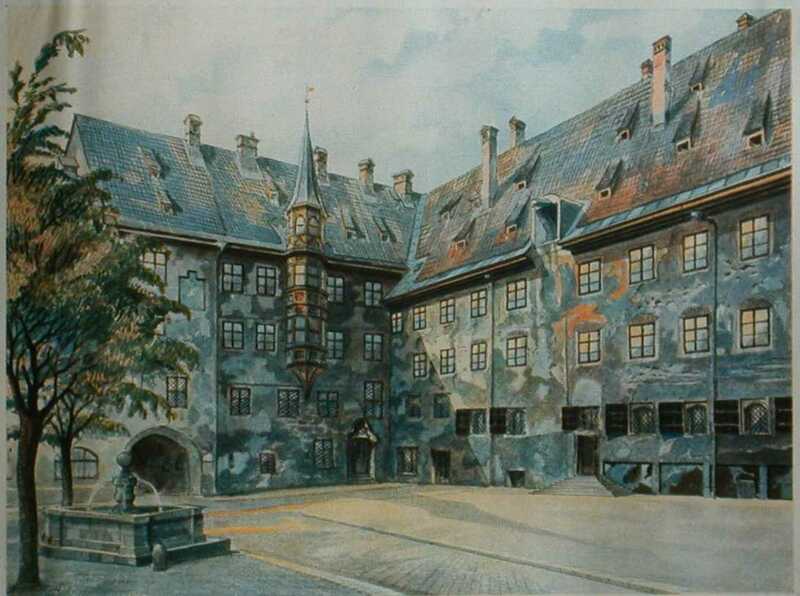 Spotts’s book also has color reproductions of four of Hitler’s paintings. These illustrations of Hitler’s art are taken from a coffee table book on Hitler published during the Third Reich, several million copies of which were printed and from a 1935 set of prints published by Heinrich Hoffmann. There are a lot of fake Hitler paintings. 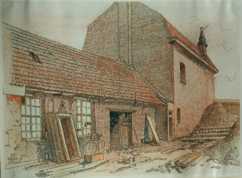 The source: Adolf Hitler: Bilder aus dem Leben des Führers (Hamburg: Cigaretten Bilderdienst Hamburg/Bahrenfeld, 1936) and Adolf Hitler Aquarelle (Munich: Heinrich Hoffmann, 1935). 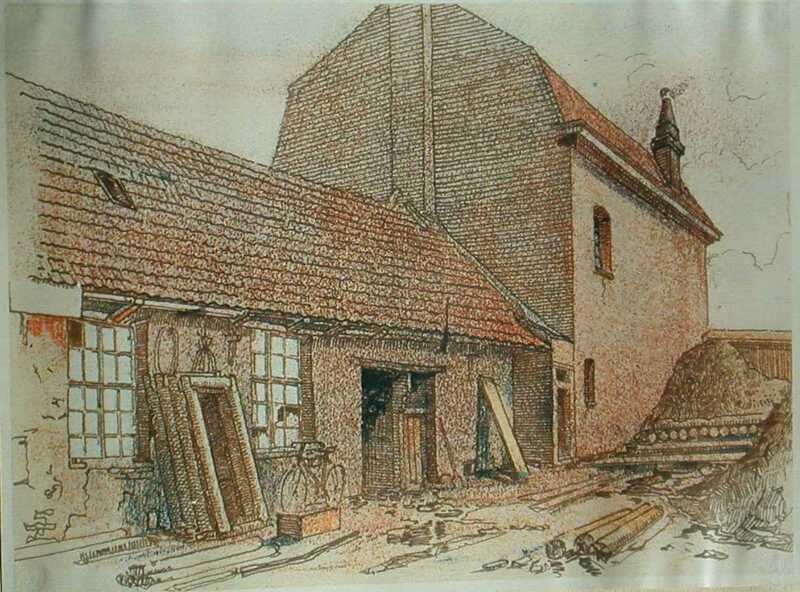 “Shelter in Fournes,” probably 1915. 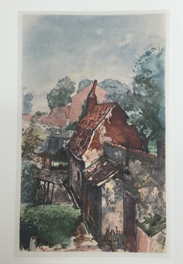 The title of this undated painting: “House with a White Fence” from about 1915. 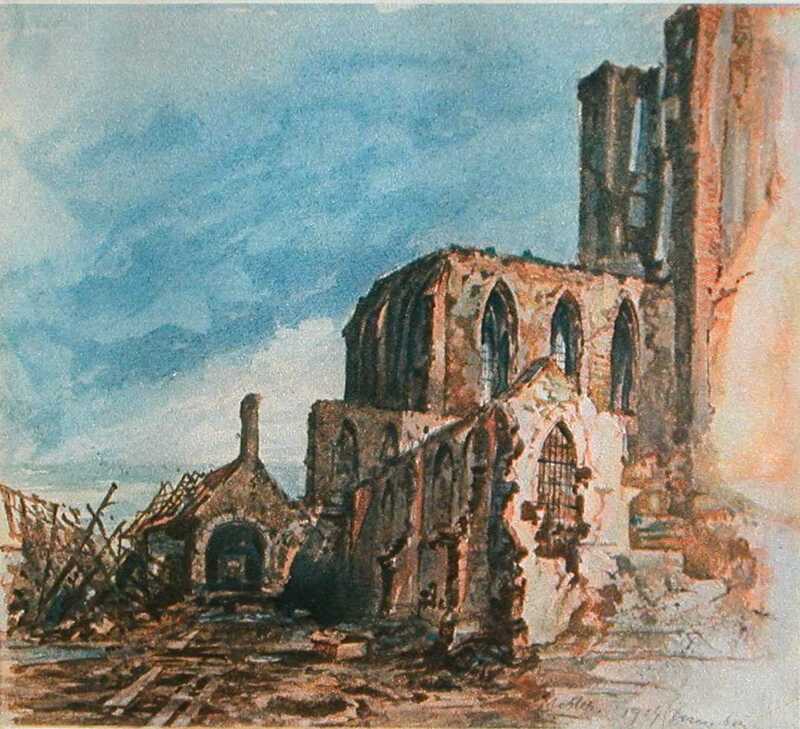 This painting is certainly by Hitler. “Fromelles” from about 1915. This painting is certainly by Hitler. 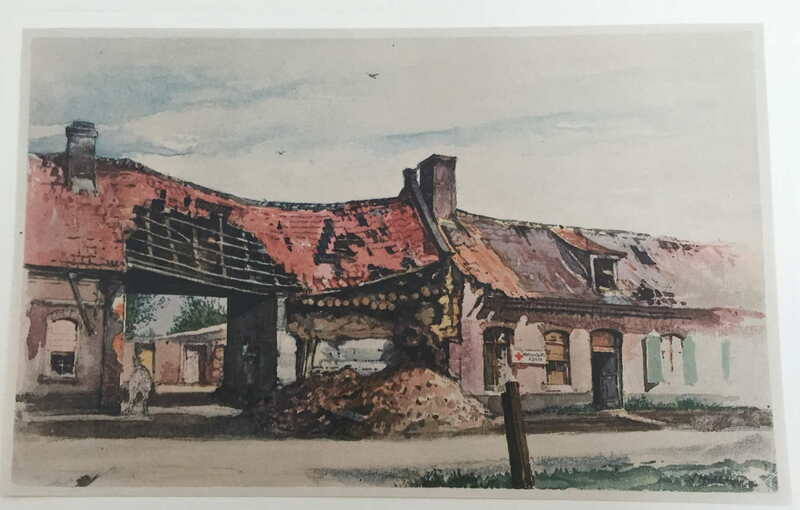 “Haubourdin,” dated 15 June 1916. 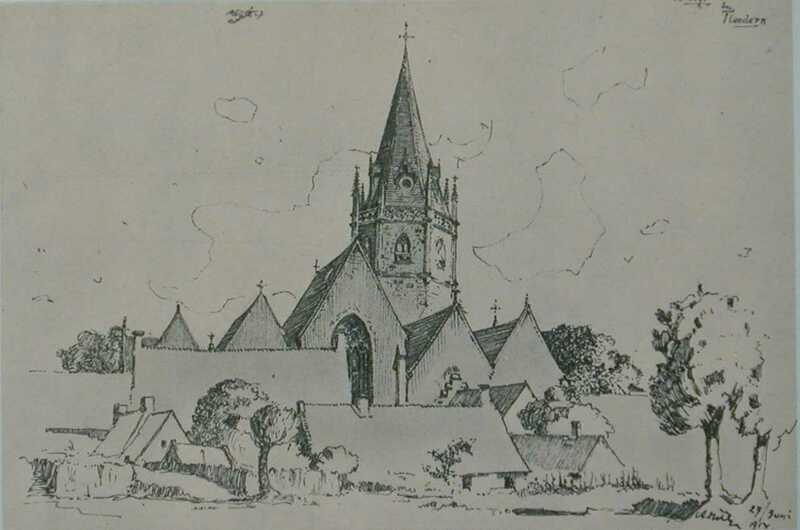 “Ardoye in Flanders,” dated 27 June 1917.